Bypass set Australian opal doublet sterling silver ring. This ring has it all! 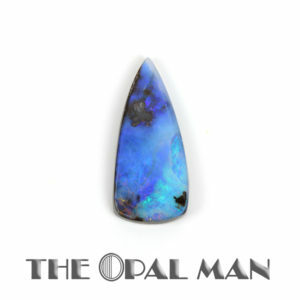 Simple shank that has a little twist to it, and a phenomenal opal. Blue/green section with a blaze of reds and oranges rolling down into the green. Ring size: 7.0 — Please call with questions about ring resizing.